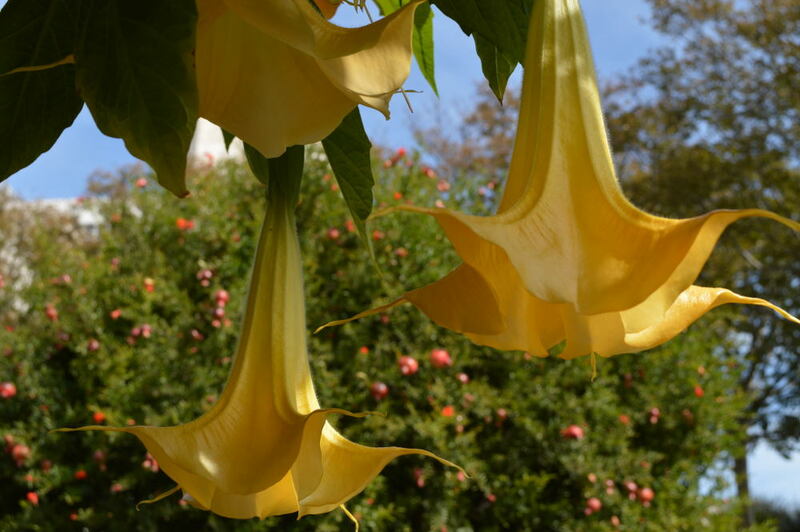 Butterflies, Pelicans, Elephant Seals, Museums, and Smog: We Must Be in California! To Beautiful to Bottle It! 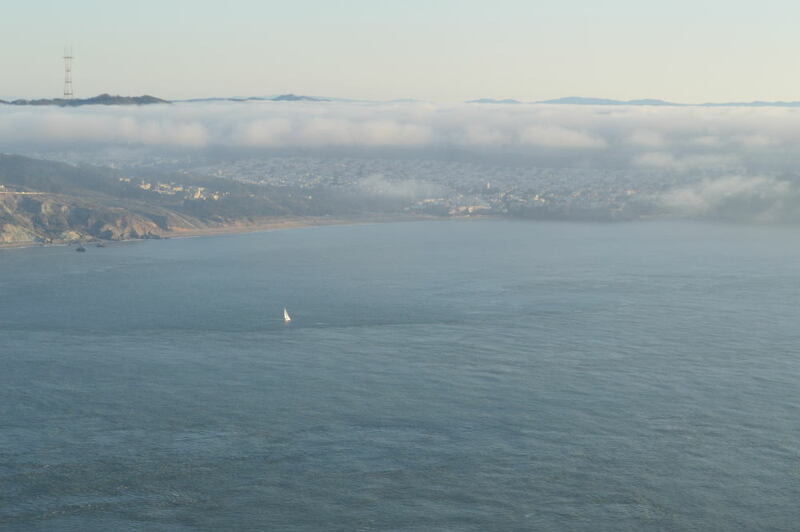 After a fantastic week in the San Francisco area, we slowly made our way south along the coast. Our first stop was at a truly luxurious resort-like campground just south of the city (Costanoa KOA). From there we enjoyed the beach, played lawn games, washed dishes in warm water (a true luxury), and spent a day in Palo Alto having our car serviced while we frolicked around Stanford’s campus. This was my first time seeing Stanford and…wow! What an incredible campus. I felt like I was visiting a cross between a university and a resort. 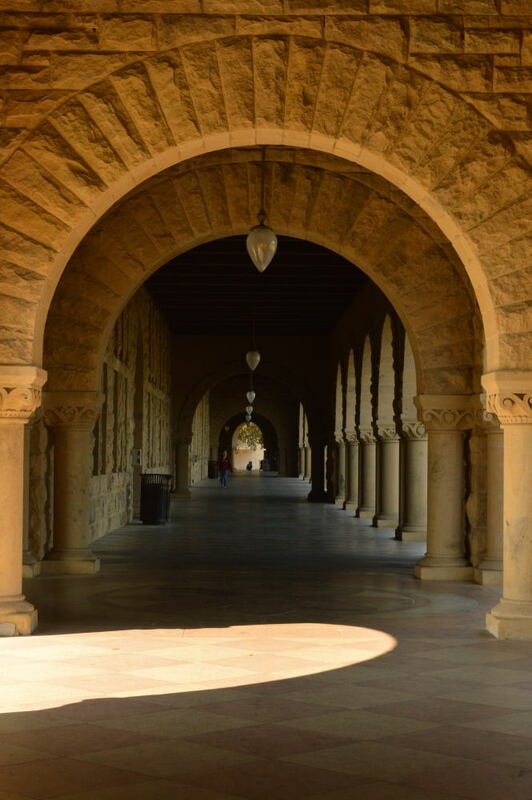 I know there are a few of you Stanford grads reading this blog – what a beautiful place you called home for a few years! This is definitely a place to visit if you’re ever in the area. 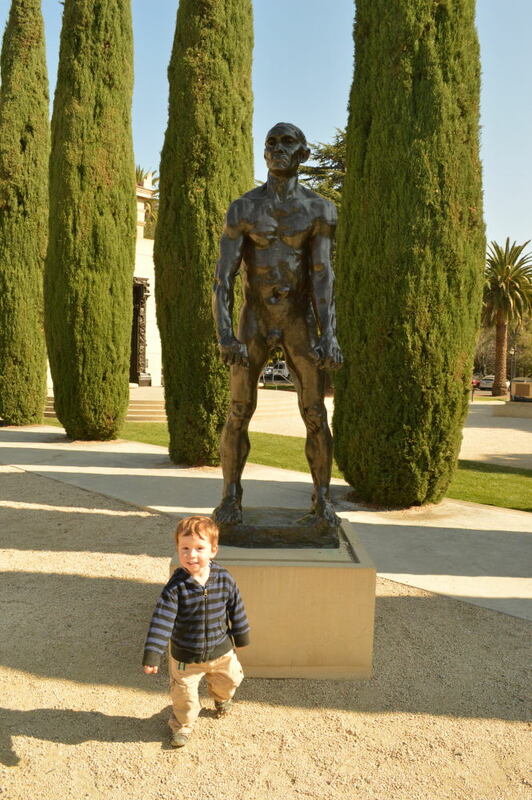 Unfortunately for us, the museum was closed the day we swung by, but that didn’t stop us from enjoying the Rodin Garden. 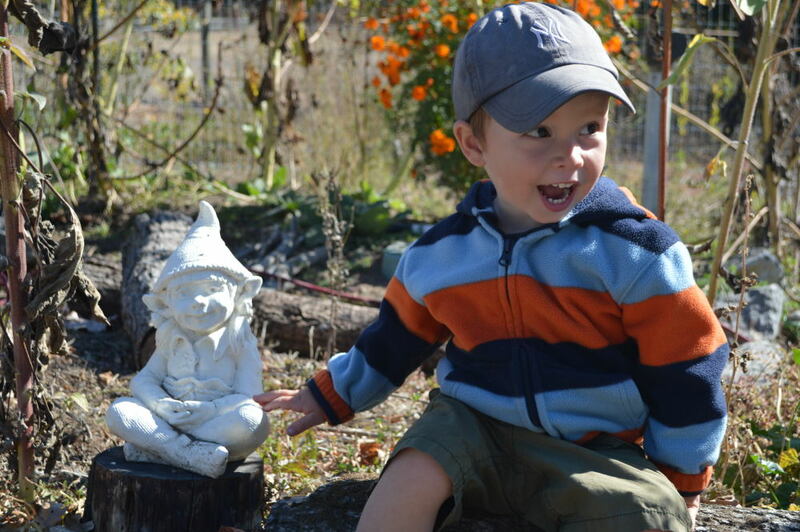 Van especially enjoyed posing with the sculptures. 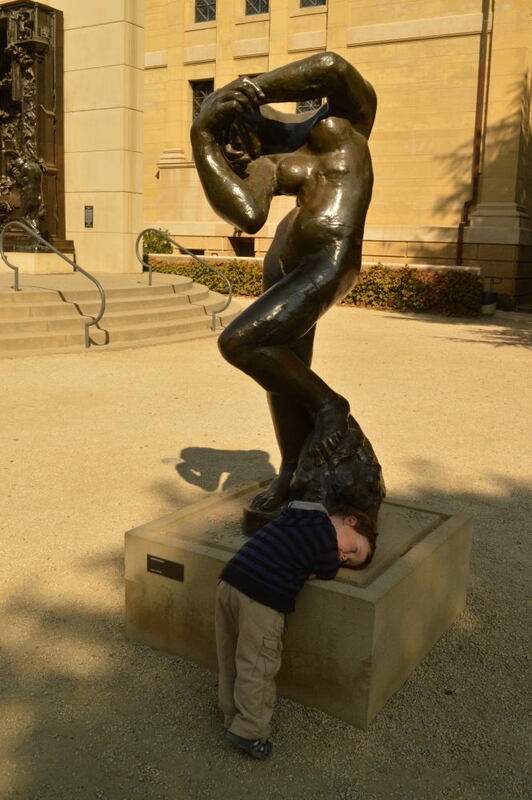 Was Van a Muse for Rodin? The theme of our time on the Central California Coast was wildlife. Beautiful, sea-loving wildlife – from human wildlife to feathered and flippered friends. We spent an enjoyable afternoon watching the pelicans soar above the ocean and getting our toes sandy while we watched men and women in wetsuits fly across the water. 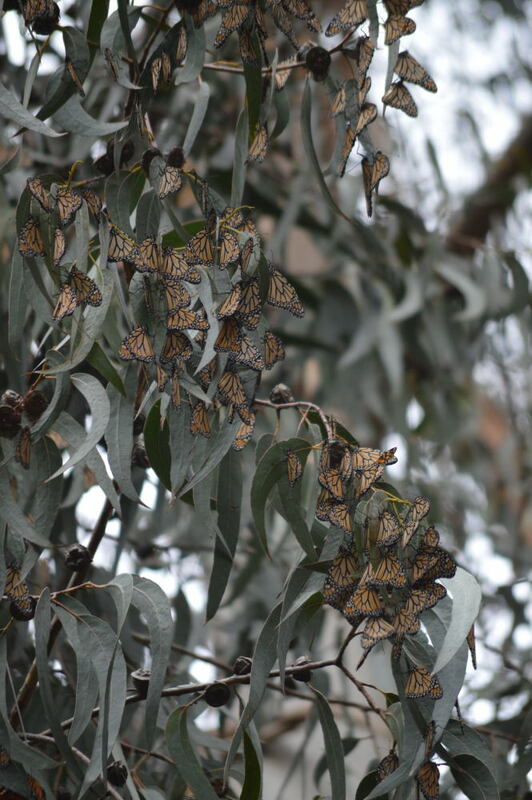 We also ambled through the Pacific Grove Monarch Sanctuary, spying the beautiful winged creatures hanging like dead leaves from the branches of eucalyptus trees. It reminded me of Barbara Kingsolver’s recent novel, Flight Behavior, except not quite that overwhelming. 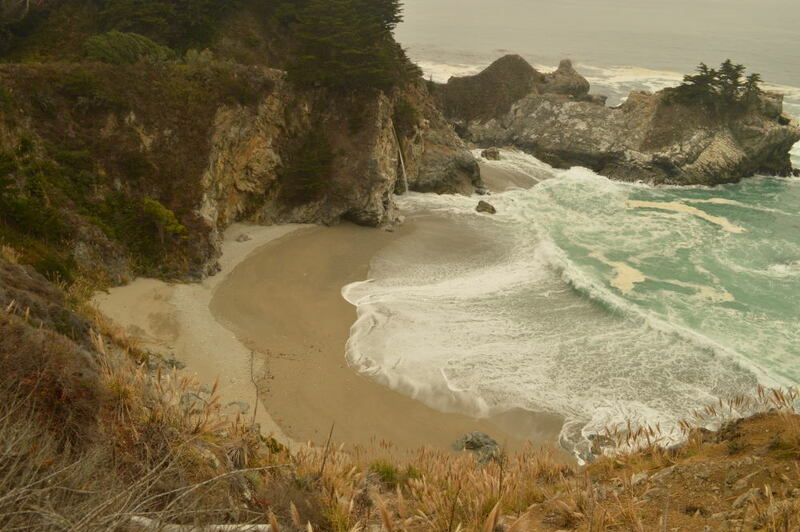 From Costanoa, we headed south along the coast through Big Sur. 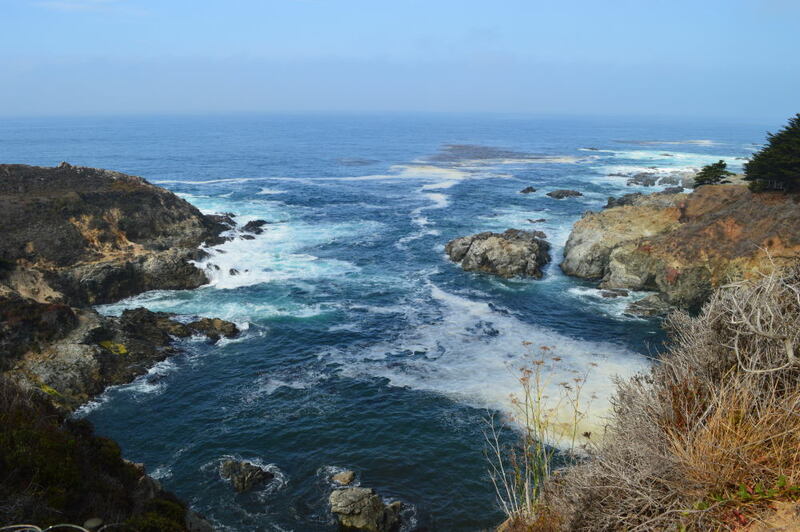 Big Sur is the name of a town along the coast, but it’s used more commonly to refer to the entire stretch of coast between Carmel and San Simeon. The views were stunning, but my favorite was the walk to the cliff’s edge to spy a waterfall crashing into the surf below at Julia Pfeiffer Burns State Park. 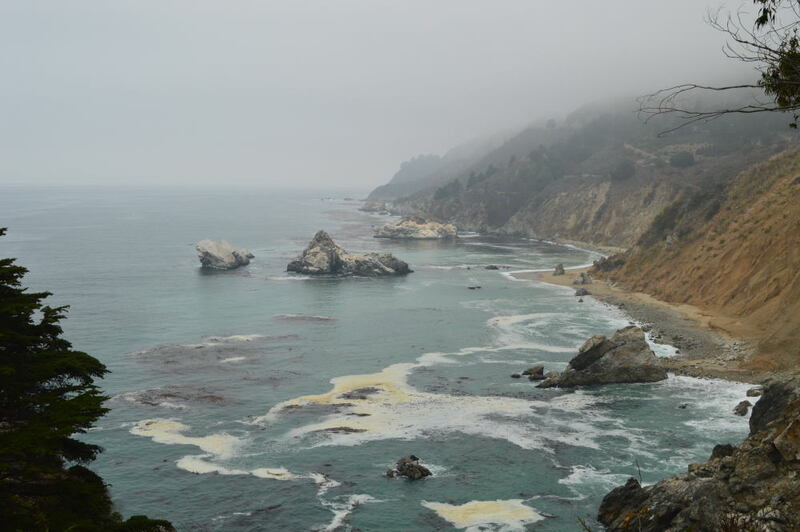 McWay Falls and the horseshoe-shaped cliffs with a beautiful sandy beach tucked into its embrace was paradise. Not a paradise where you can get your toes sandy, but a view of paradise to enjoy from above. There are signs warning you not to climb down the cliff face to the beach below, and I think we’re all better for that. As beautiful as the views were, the highlight of our day was easily our stop in San Simeon. No, not Hearst Castle (we figured that Van wouldn’t appreciate it and we wouldn’t appreciate his whines on a guided tour), but the elephant seals! We were given good advice to stop and see the seals. While the smell was a little overwhelming at times, it didn’t stop us from spending a long time just watching these awkward creatures sunbathe, play, fight, and amble across the sand to the sea. None of us could get enough of it, but Van was particularly enamored by their antics. Below are a few of the dozens of photos we took while we were captivated. After we pried ourselves away, we headed down to our lovely little motel in Morro Bay for a couple of days of errands and exploration. 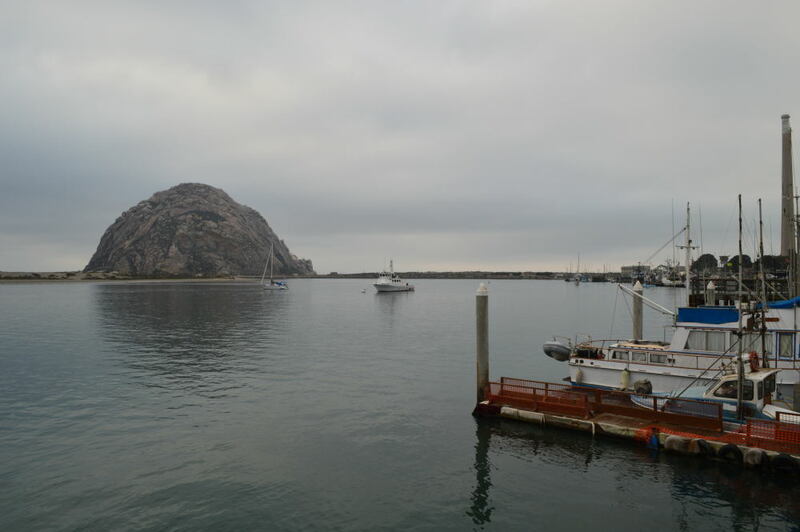 Unfortunately, the only decent photo I have of our time there was of Morro Rock, a very large (and very cool) rock erupting from the bay. I was excited to visit Los Angeles with Alan and Van since I’ve always been a fan when I’ve visited in the past. 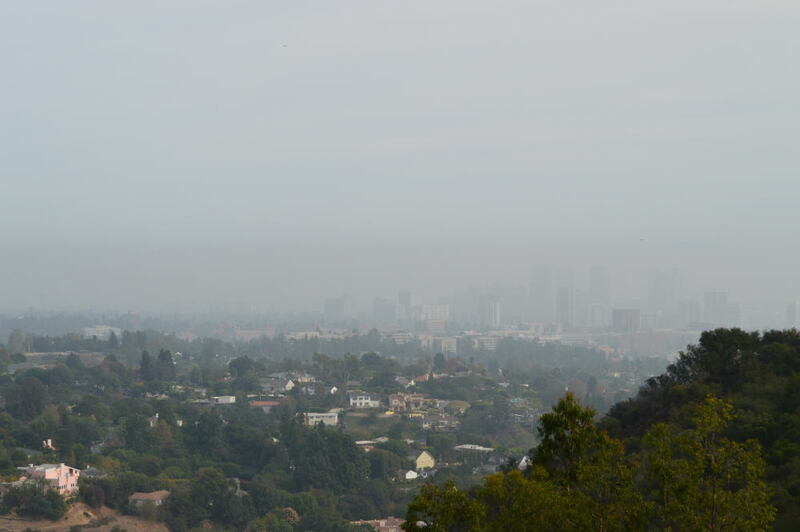 Though we had some great times on this visit, I realize that between camping far from any of the things we wanted to do (tent camping in the state parks was either booked solid or insanely priced – $45 to $60, no thank you) and the high level of smog, it was not an ideal visit. Proof We Were In Los Angeles! That being said, the highlights were an afternoon in Santa Monica spent with Alan’s college friend, Tyler, and a day full of art at The Getty Center and The Getty Villa. Pro tip: if you’re planning to go to one of these and you have a full day, go to both on the same day. As long as you make reservations in advance to visit the villa (this is required for the villa, not for the center), you only pay for parking once ($15) and the fee is good for both places. 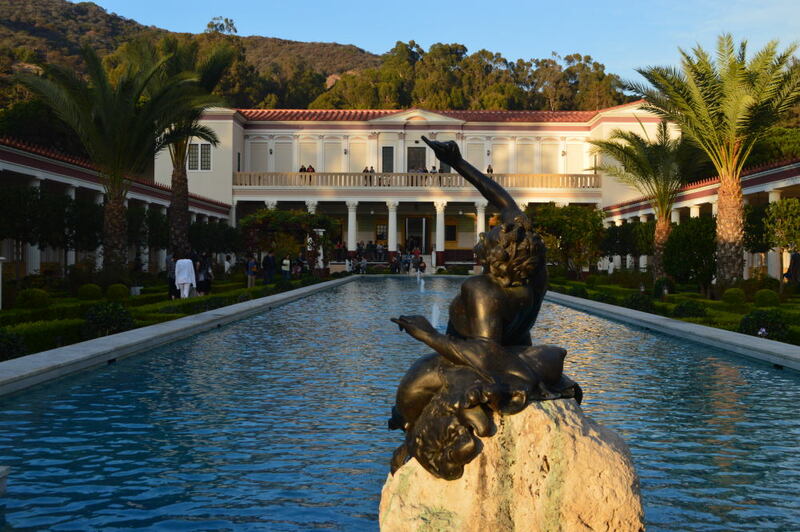 There is no entrance fee, so the $15 parking fee is all that is needed to visit these gems. 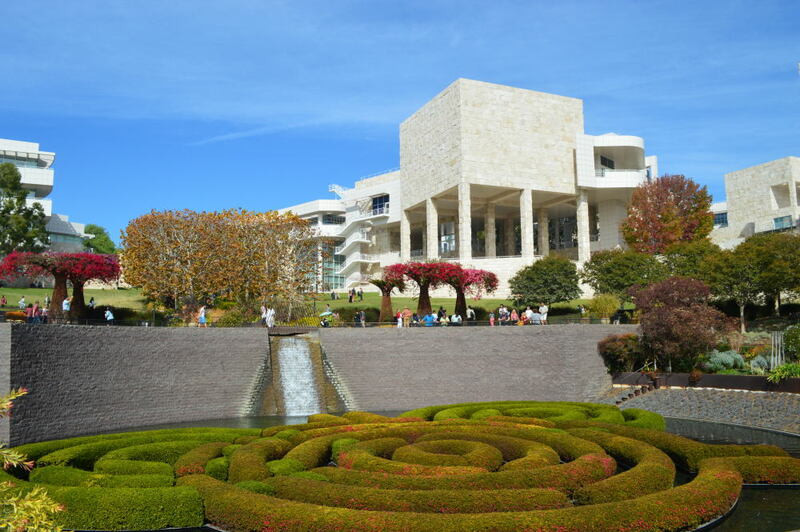 My favorites at The Getty Center were the architecture, the gardens, and a stunning temporary exhibit of Abelardo Morell’s photographs. From a past visit, just days after it first opened, I remembered that the views were stunning, as well. 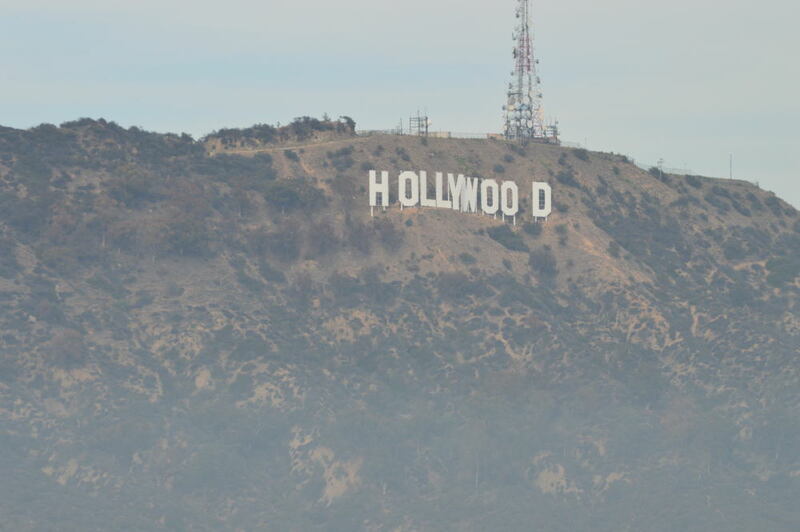 Alas, the smog got in the way of that during this visit. Van’s highlight was rolling down the hill. Over and over. He was in heaven! 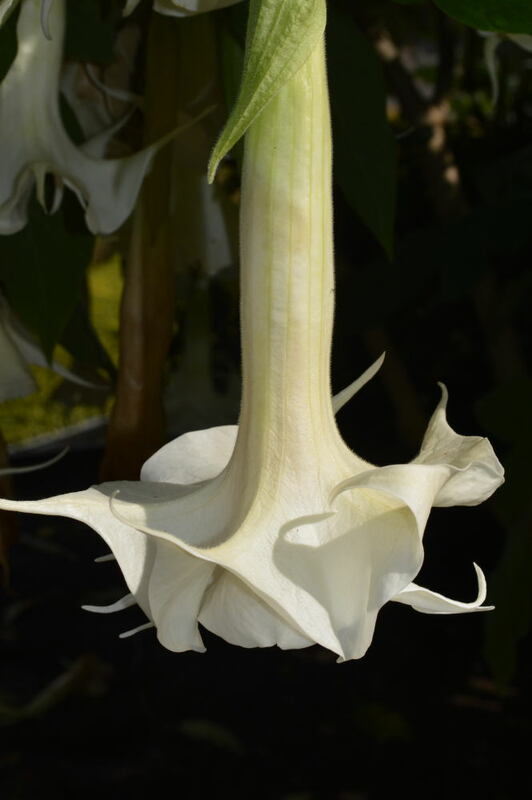 These gorgeous flowers reminded me so much of dancers. Any leads on what type of flowers these are? My parting observation about Los Angeles: there are a lot of Persians in this city! Given the current exhibition at The Getty Villa (The Cyrus Cylinder and Ancient Persia), we weren’t surprised to be in a sea of Persians, but that wasn’t the only place where I noted a high volume of my lovely husband’s kinfolk. Sadly, we didn’t partake in any kebab or ghormeh sabzi while were there. We’ll just have to wait until we get back to Colorado. It’s getting colder, and our thoughts turn from where to travel next to where we’d like to live. As we run through the possibilities and all of the pros and cons, I’m getting a much better sense of my priorities. Between that, and the thoughts that come as we approach a transition in our life on the road, the lessons are coming hard and fast. Here’s my latest installment of lessons learned. 1. I do not want to live in a home that is part of a Homeowner’s Association. In certain areas, this eliminates large portions of housing. So be it. I don’t want anyone telling me I must have a two car garage, can’t hang my laundry out, can’t paint my house pink and purple, can’t have chickens or bees or goats or llamas or pet tigers (ok, maybe it’s ok if they tell me I can’t have a pet tiger). Nor do I want my neighbors to be so constrained. I understand that this opens me up to more “risk” of my neighbors opening a junkyard next door. Oh well. Homeowner’s Associations are great for some people, just not me. I’m glad I’m fully aware of this before buying a house in an HOA. 2. It is easy to travel far and wide and still only associate with a certain type of people, eat in certain types of restaurants, and stay in certain types of places. I think it is more important to travel half an hour away to a place with people very unlike you and your cohorts than to travel halfway around the world to associate with similar types in a slightly different cultural context. Some of the worldliest people never hop onto a plane, but instead fully immerse themselves in all the worlds around them. After traveling to so many places but never staying in one place for very long on this journey, I’m looking forward to getting to know a new place in depth. And not just the parts of that place that immediately appeal to me, but all the parts I may first overlook or turn away from. 3. Fall feels like home. Fall is my favorite season. Fall is Alan’s favorite season. What is the one season we missed this year? Fall. In order to attempt to outrun cold nights in the tent, we missed this most magical and cozy of seasons. I hope that this is the very last fall we ever miss. I’m not sure winter will feel the same without having been welcomed by the golden hues and smokey, sweet, crisp air of autumn. 4. When the choice is more land or more house, I will (almost) always choose more land. I don’t need a big house, but I want to be able to see lots of green from my window. I also don’t need a lot of land, but nine times out of ten, more land will satisfy me better than more house. For me, a house is really just a place to take a break from the sun, the wind, the rain, and the snow. Oh, and a place to curl up in front of a fire with a good book. Can’t forget that! 5. You can’t have it all. Certainly not at once. This is fine, but it’s a myth that gets perpetuated for young people, especially young women. When we finally realize that we can’t have it all (if we ever believed that to begin with), the truth can sting a bit. I already knew this, but when you begin to prioritize all your goals, it crystallizes this truth in a new way. 6. Having a place that feels like home is almost as important as having a place to call home. I’ve had many places to call home in my life, but only some of them actually felt like home. I spent the past two years in a very nice town home in the suburbs. It was clean, safe, and nice, but it never actually felt like home. I realize that I put off so many things that I would have done had the place felt like home. I never felt invested in the place, and in turn, it only served as a place to live and not a true home. Besides becoming invested in any place I live in the future, I’d also like to prioritize finding a place that feels like home. 7. It’s hard to go wrong with green chile sauce in New Mexico. Not much I can add to this, except for the fact that I am loving New Mexico, its people, and its delicious (and inexpensive) food. 8. I scare a lot less quickly than I did eight short months ago. There are so many ways I could illustrate this, but I’ll stick with one. Coyotes. I like coyotes. They’ve never scared me and I’ve found their cries hauntingly beautiful. But that didn’t stop me from scrambling out of my tent in Kentucky when they were making a kill very near by. At that point, we still had our van, which is where the three of us spent the rest of that night. Fast forward about seven months, and we’ve heard numerous coyotes, but none as close or as constant as when we were camping in Tucson Mountain Park. There were dozens in the area around us, some near by, some far. But even when they were howling mere feet from our tent (and even when our semi-crazy camping neighbor joined in with the coyote howls), I felt warm and secure in our tent and enjoyed the evening serenades. I’ve come a long way, baby! Our travels have been a relatively solitary affair. While we see friends and family from time to time and speak with strangers most places we go, the vast majority of our time is spent just the three of us. Then…BAM…everything changed. But just for a week. Over the course of six days, we had plans with six different sets of friends! It was so much fun and such a great change of pace. 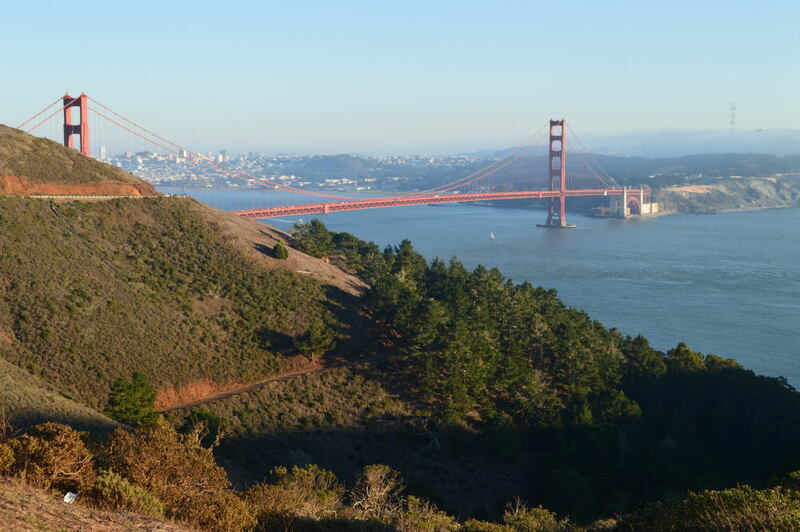 It also gave us the opportunity to see the San Francisco area through the eyes of locals. This was, without a doubt, my favorite city of the trip thus far. We began our visit with a visit to Napa (no wine tasting for us, just grape peeping) and a delicious dinner in Petaluma with Alan’s college friend, Dan. Thanks, Dan, for the fanciest meal we’ve eaten on the entire trip! 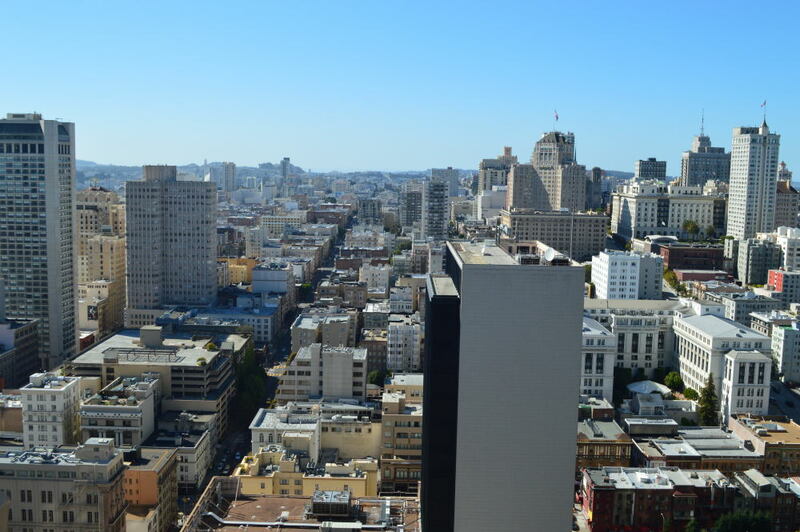 The next morning, Dan took us on a tour of San Francisco, complete with a visit to the roof of his office building with superb views of the city. 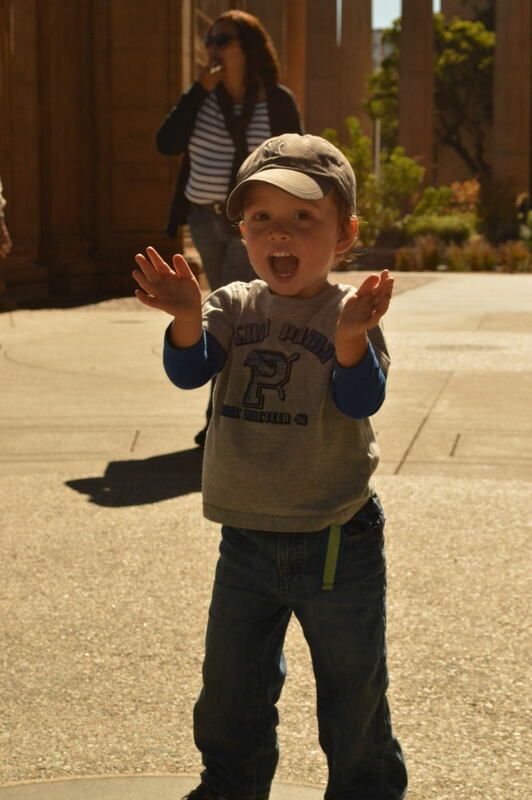 Van’s favorite was clapping in the middle of the dome at the Palace of Fine Arts and listening to its amplification. Although he did also bust quite a move to some house music on the street. Budding dancer? 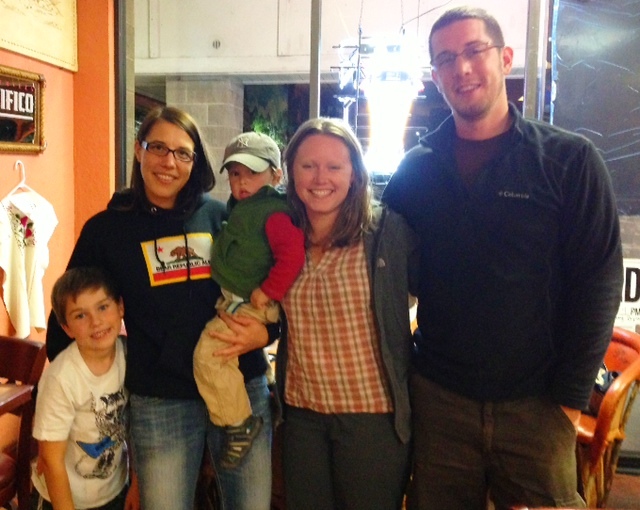 We capped off our relaxing Sunday with a delicious dinner at the Marin Brewing Company with my former colleague, Jane, and her family. We had an excellent time! So excellent, in fact, that I forgot to capture any of it on film. Van was particularly enamored by Jane’s daughter Sarah, who happens to be fantastic with younger children. I see great babysitting potential in her future… Thank you Jane, Jason, and Sarah for a great dinner out and for putting up with Van’s keyboard accompaniment to dessert! 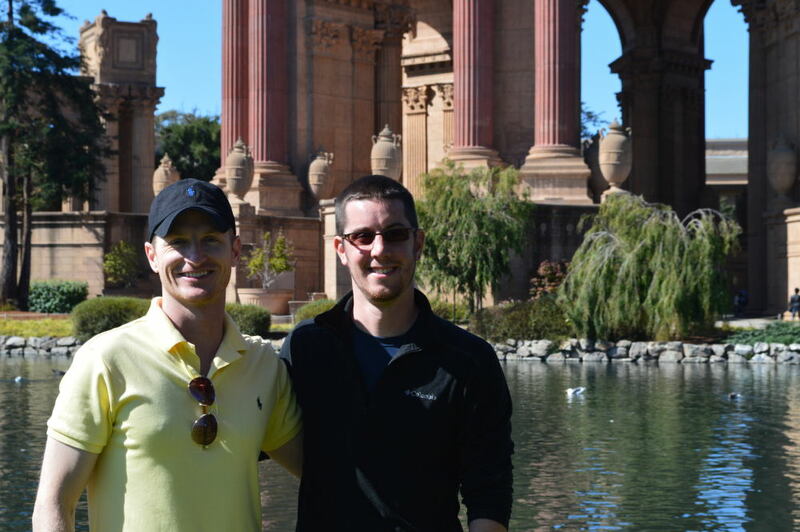 We decided to head back into wine country on Monday and check out Sonoma. We were just about to stop and taste some wine, when Van fell fast asleep. Instead of enjoying some crushed grapes, we spent another few hours driving through the gorgeous countryside. Based on appearances alone, Sonoma has Napa beat by a long shot in my book. The area is so much more pastoral and intimate. More grit and less shine. More blue jeans, less heels. 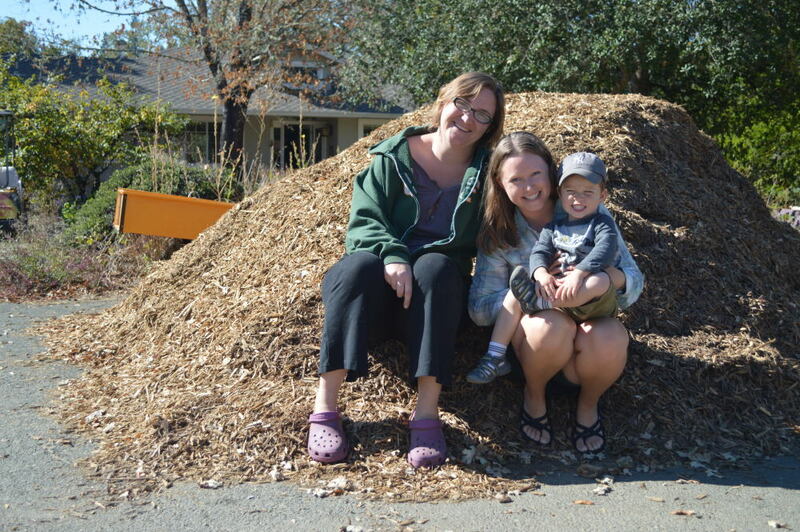 Our favorite was the area up and around Healdsburg. This would be a great place to return to when Alan and I have the chance to get away without the little one in tow. Van woke up just in time to run around the playground in the center of Sonoma before we headed off to Santa Rosa to spend the evening with my friend Jess and her son, Brayden. The boys had some more playground fun while Jess and I caught up. We hadn’t seen each other in over five years, but it felt just like yesterday. After the boys had exhausted some of their energy, we headed out for some real California Mexican food. Much to my embarrassment, Van has been the welcome recipient of Taco Bell, which he refers to as Ding Ding, several times during this trip. As soon as he heard Jess tell him that he was going to have rice and beans for dinner, his face lit up and he said, “Ding Ding?!? 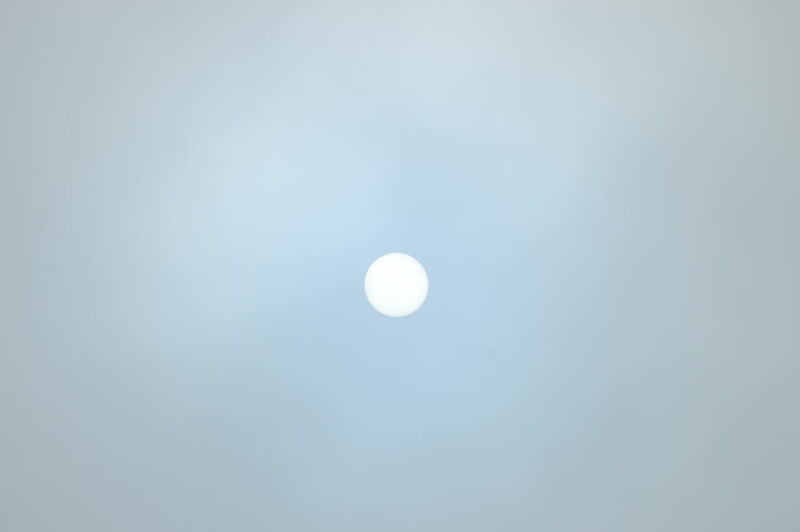 !” And this, my friends, is when I knew that we had led him far astray. Jess, you’ll be happy to know that we haven’t been to a Ding Ding since we’ve seen you. We have, however, had some more terrific Mexican food. At this point, I think (or at least, I hope) Van would revolt if we took him back to Ding Ding after experiencing the real deal. Thanks, Jess and Brayden, for a fantastic night and for food that was much, much better than Ding Ding! Trying to set a trip record for most days in a row that we ate a meal out, we headed into San Francisco on Tuesday to have lunch with my friend, Bryna and her lovely girlfriend, Sarah. The company, the food, the atmosphere…it was all perfect. Sarah had to skip out after lunch to finish studying for an exam, but that meant we had Bryna all to ourselves that afternoon. 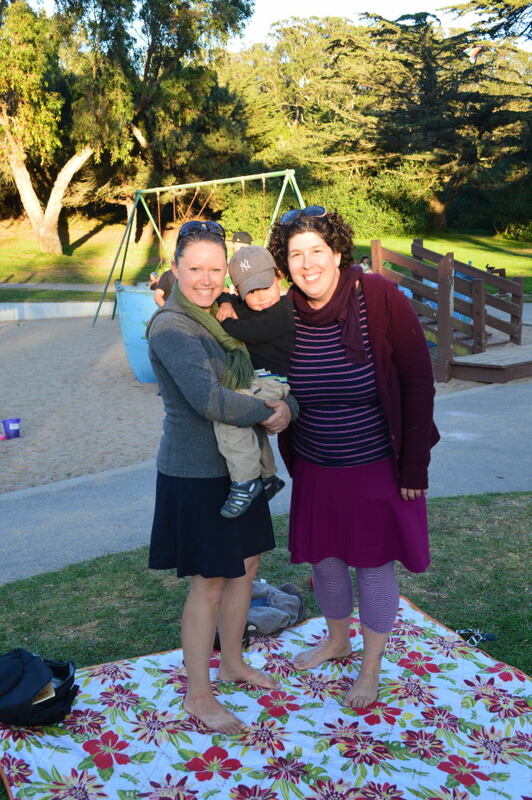 We spent a perfect afternoon sprawled out on a blanket on the grass while Van played for hours on a playground in Golden Gate Park. Heavenly! Again, it was a case of feeling as if no time had gone by since we’d last seen each other. Now if all of these wonderful people in my life weren’t so scattered across the country… Oh well, that’s what travel is for! 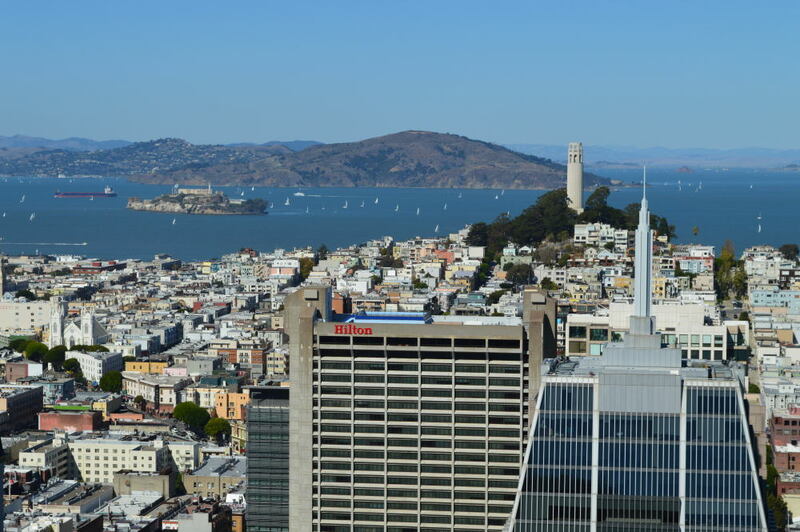 Thanks for a great San Francisco day, Bryna. We miss you! After five nights of camping in a KOA in Petaluma, which we learned is populated on the weekends mainly by people from….Petaluma (what?!?! 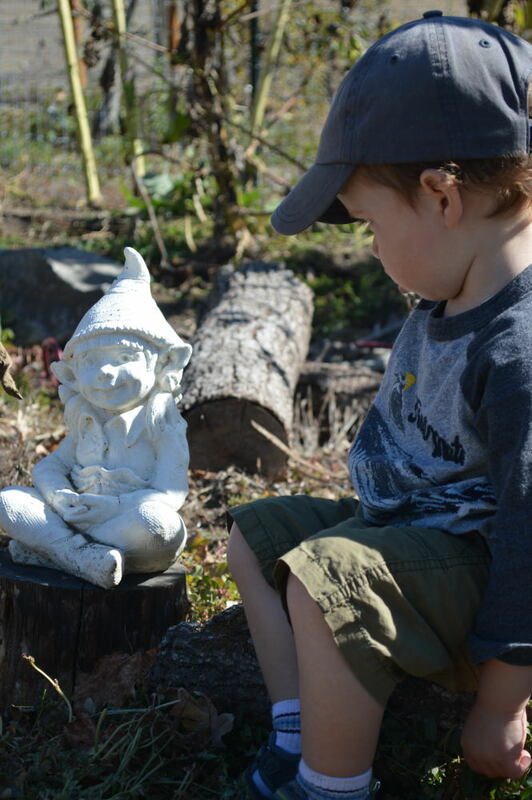 ), we packed up and headed off to spend the day and night with my friend Mahea in rural Sonoma county. We spent the day eating delicious food, drinking beer in the sun, wandering around Mahea and Alea’s lush gardens, feeding donkeys, moving mulch, and picking dinner. This is my definition of a perfect day. Spending it with Mahea made it even more magical. Alan, I hope you were taking notes! Alea, thanks for sharing Mahea with us for the day. We were sorry to miss you! Thank you, Mahea, for a truly refreshing day and night. Mahea made a huge impact on Van. Almost a month after we had seen her, Van asked us over dinner one night if he could see Mahea and travel with her to Oregon and Washington. So cute! If you’re planning a trip up there any time soon, Mahea, your traveling companion is set.Van asking to travel with Mahea is a big deal. He rarely asks for anyone by name except for family members. There are three other exceptions to this rule – Liam (his friend from home), Radar (our friend Elizabeth’s dog), and Bobby (Elizabeth’s boyfriend). 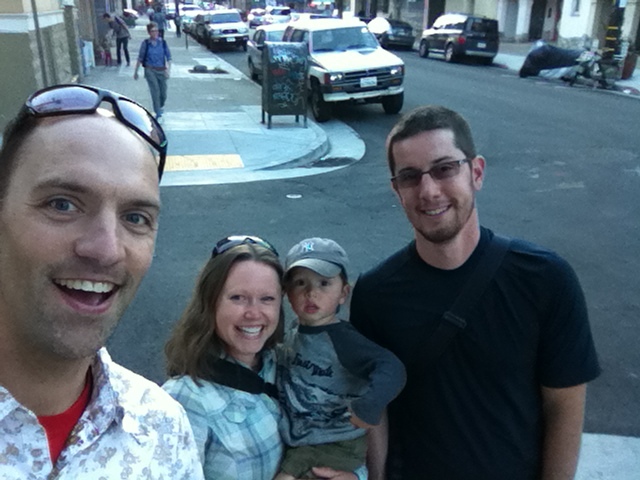 We had met Bobby when we were in Seattle, but he happens to live in San Francisco. Given that Van had not stopped asking to see him, we knew we couldn’t leave the city without seeing Bobby. If anything, spending the evening in the Mission with Bobby just cemented his super-cool status in Van’s book. He introduced Van to Delores Park and its awesome, new playground, took him (and us) to see Clarion Alley, an alley of large, brightly colored, and definitely not G-rated murals, ate lots of yummy tacos, and played “tunnel” over and over again on the darkened streets. The latter of these largely consisted of Van and Bobby being silly while Van ran through Bobby’s legs, yelling TUNNEL! Thanks, Bobby, for a perfect end to our stay in the San Francisco area! Where will we see you next? Inspired by a family member’s superstar blog (thanks, Nate! ), I set a few blogging goals for myself this past summer. My goals were rather modest. The first, to have 50 email subscribers, was reached quickly. My second goal, to have 10,000 page views, will be met in the next couple of days. All of this has me thinking, who out there is following along on our adventure? I’d love for you to leave a quick comment introducing yourself and letting me know how you found the blog. I’m not sure what will be more interesting, finding out which of my friends read this regularly or hearing from strangers who are following along. Since Stacey has been writing so much I figured I should write another post. One every 3 to 4 months may seem relatively pathetic, but I have Congress to thank for setting the productivity bar so low that my pace makes me look like a superstar blogger. I also have Congress to thank for finally opening the National Parks again so I could write about Joshua Tree National Park. I’m not going to write about Joshua Tree the way Stacey would. She can write a more extensive narrative of the park if she wants but what I am going to write about is time capsules. Not the grade school projects where you stuff a box with notes to yourself, lists of ambitions, newspaper clippings, et cetera. 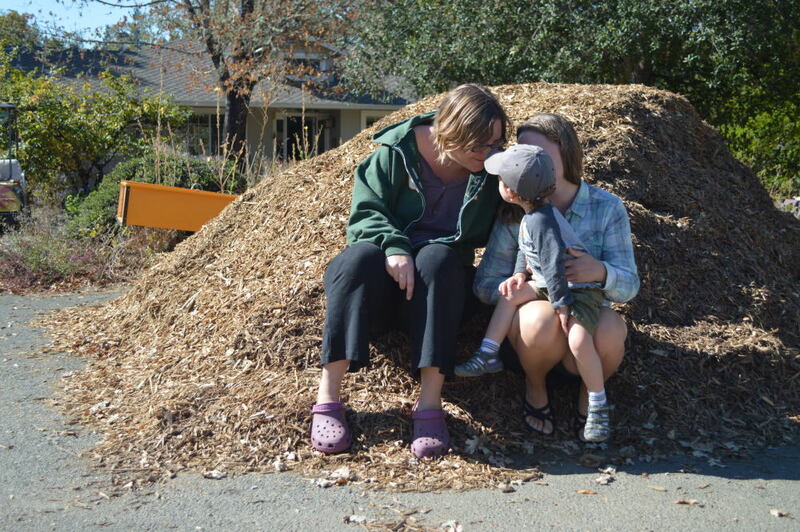 Rather, the type of time capsules that serve as reminders for me and everyone reading this blog of the importance of being mindful of how we live our lives and why we protect public spaces for future enjoyment and education. 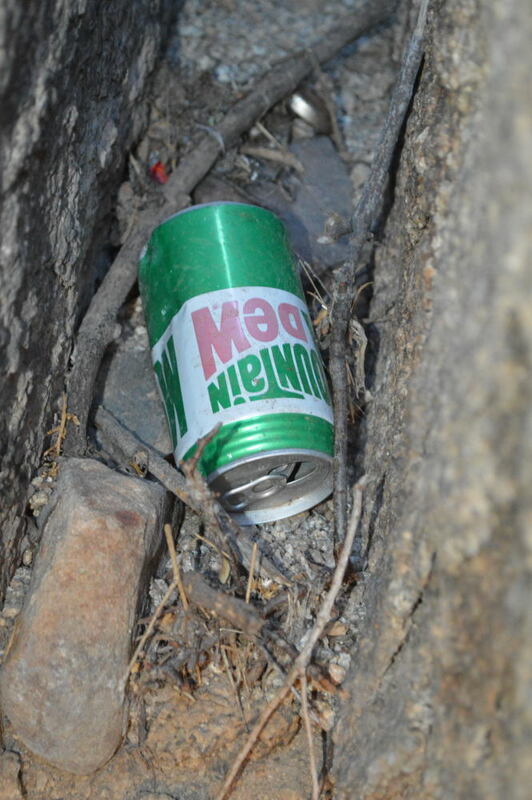 The first time capsule is a very old Mountain Dew can I found at our campsite at Jumbo Rock. To give some background, when we got to Joshua Tree the wind was whipping at 40-60 mph and given the elevation and time of year, that meant we would be facing brutal wind chills and sleepless nights with an angry 2 1/2 year old. In order to make our stay more hospitable (really to make it even possible) we had to find a site that would protect our tent from the wind on all sides. Given how the sites were positioned, this was not an easy task and we ended up putting the tent in a space so far back from the road, so squeezed in between giant boulders and bush that it was not remotely close to the normal tent space/picnic table area established for the campground. In other words, no one had probably been back there for years. I happened upon the can (pop where I’m from, soda for Stacey) as I was setting up the tent. 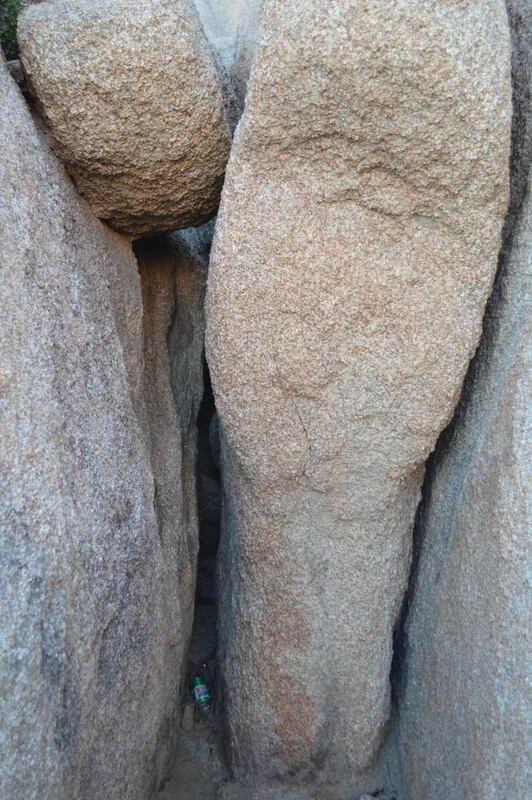 It was wedged deep between two very tall and skinny boulders. At first I thought it was just normal litter as we’ve been enough places and seen enough abuse of campsites in one form or another that I was about to pick it up and throw it in the recycling. As I am a sucker for noticing details, immediately I could tell this can had a very old design (the diameter of the aluminum top was much larger than cans of today, and the size of the spout was much smaller than today, not a wide-mouth) and I estimated the Mountain Dew logo was something I had not seen since my early childhood. Given that the color was somewhat faded but in relatively good condition, and given the area where it was sitting received almost no direct sunlight, I was struck by the fact that most likely what I was staring at was a pop can that had been tossed aside by some camper 25-30 years ago never to be disturbed until I visited the park in late October 2013. Rather than move the can I decided that it had been there so long and had been preserved so well that I would rather not disturb it. 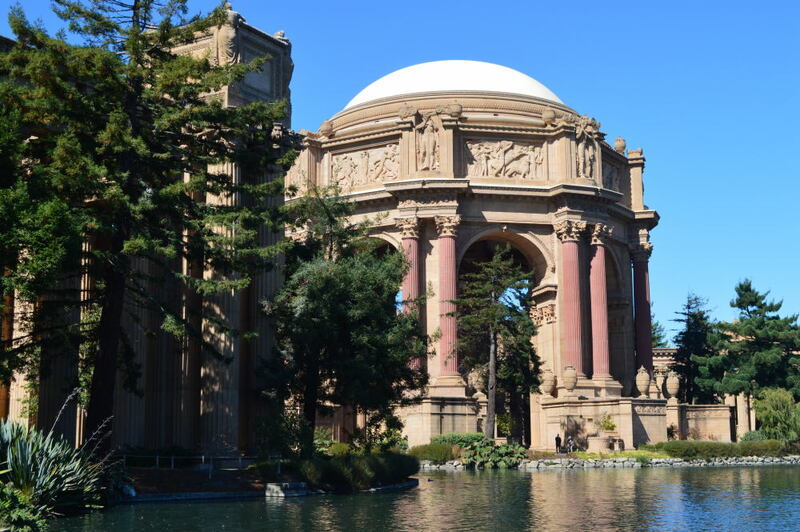 It had become part of the park, a time capsule that illustrates how much damage can be done by such routine and unconscious actions as tossing a can aside. I will not forget that can for the rest of my life; how it is still there, will still be there tomorrow, the next day, and probably until I die. My little joke at the beginning of this post was in part driven by the fact that what has been politically dividing D.C. and dividing this country has been ideologically driven by people’s views about private versus public functions. I do not want to take up an exhaustive debate of the issue here because I think it would be inappropriate given the tone and subject matter of Stacey’s blog to date (yes, I consider it her blog, I’m just along for the ride). But, I think examining the question of public space (specifically parks and recreation space) and whether the private sector could improve upon it is best answered through the lens of Joshua Tree and what Disney did to it in the 1960s. Simple question – can Disney enhance a National Park? Joshua Tree National Park has proven that to be a resounding no. 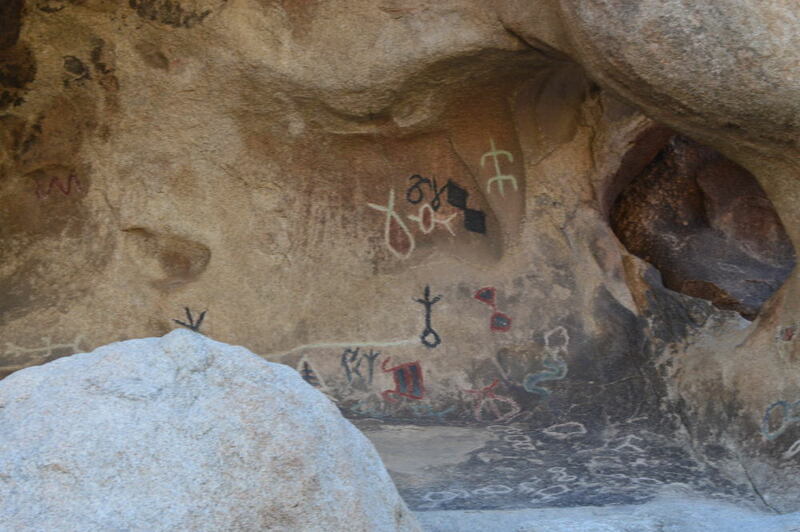 As the story goes, as explained to us by a ranger at the park, Disney wanted to shoot a movie, and they wanted to specifically feature the petroglyphs that make up part of the Barker Dam trail in Hidden Valley in Joshua Tree. However, Disney being Disney, didn’t think the natural petroglyphs were appealing/photogenic enough for their audience so they wanted to paint over them with washable paint. After filming, the paint would be removed and, of course, everything would go back to normal. I didn’t live in the 1960s so I am only speculating here, but I imagine things must have been a bit different in the National Parks Service then to even consider such a proposal, and I assume Disney was offering to pay quite a large bit of money to film. From Disney’s perspective I imagine the impetus for painting was the same bit of “magic” that makes things like “Pleasantville” appealing to some people. But, this of course is what Disney does. And what Disney does is Orlando, not National Parks. They do semi-real, sanitized, cushy versions of the real world (and charge quite a premium for taking the edge off). That is all well and good and I am not being critical of that market, but Joshua Tree proves quite definitively in my opinion that Disney should not do National Parks. Because, and you’ve already guessed it, the washable paint was not what it was cracked up to be. 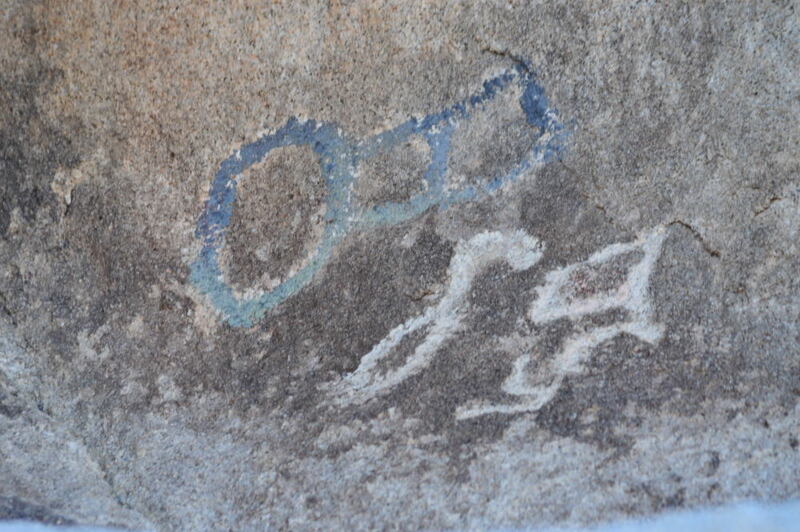 Although it could be “washed off” in some fashion, what also happened was that the petroglyphs were being completely destroyed at the same time. 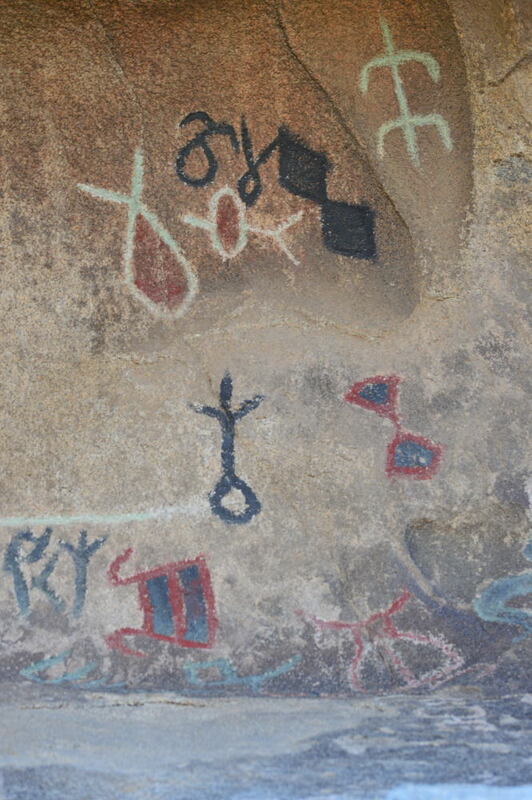 So, what we are now left with is a Barker Dam trail with petroglyphs that have Disney paint on them. In some cases you can actually see where Disney began to wash off the paint and where they stopped once it was determined that this historical site was being destroyed. From top to bottom the color goes from full to faded/semi-washed to absent with the exposed petroglyphs almost totally removed from the face of the rock. These Disneyfied Petroglyphs, like the Mountain Dew can, have become part of the park now. Another time capsule that illustrates how much damage can be done when action is not directed with a view to the long term. Thank you John Muir, Teddy Roosevelt, et al who decided creating and preserving public space was a good idea. Now next time Disney or anybody else decides it wants to mess around with what I believe is one of the most successful government functions of all time, the National Park System, one that has been replicated throughout the world; or next time someone spouts off about how the private sector could do it better, I have only one piece of advice. Politely, but sternly, directly them to the Disneyfication time capsule when you are showing them out the door.